Fortress Spinalonga sits as a rocky islet floating in the blue waters of the Gulf of Elounda. The region's 16th century Venetian rulers carved this rock out of Crete's coastline and then built a fortress on it to protect the gulf from hostile ships. The old fortress, apparently as impregnable to the passage of time as it once was to would-be invaders, still dominates the islet and attracts nearly 30,000 annual visitors. Split your time on the little island between the Venetian fort and one of several beaches, which are lapped by shallow, calm waters. There are no tourist facilities here, so bring your own food and water. To visit Fortress Spinalonga on your holiday in Elounda, and find out what else Elounda has to offer, use our Elounda online attractions planner . Despite the warm weather (being ironical +40C) and a loads of costs to get there this is one of the most beautiful Cretan points (1 week of travelling around) Brilliant views. All together not too expensive (40€ petrol travelling from the other end of Crete. 40€ return tickets to the island and 20€ for entrance. And a meal 60€. 10€ for water. All for family of 4) If you are coming to Crete you should definitely visit this place. Check the photos. But seeing is priceless. Great boat trip out to the island. Cost was 12€ each. For the trip it was ok. But then you have to pay another 8€ each to walk round the island. We didn't do it. Sat in the cafe and watched the boats coming in and out. Beautiful place just a bit pricey. Great place, the reason i give four stars instead of five is because after the tour guide you dont have enough time to explore the whole island. I would still recommend a tour guide just because there are no signs and the information about the island is very interesting. The history of this tiny island is amazing. You find yourself imagining that you were forced to live on this island and how people with leprosy lived. The majority of the historic past of this island is that it was a fort, but the 60 or so years of being a leper colony gets all the attention. Word is to go early in the day and beat the heat and the crowds. I think we walked the path backwards. Got off the boat and went counterclockwise around the island. You save the best for last if you go that direction. Every day, we help thousands of travelers plan great vacations. Here are some tips on how to use your Listing Page to attract more travelers to your business - Fortress Spinalonga. Promote your permanent link - https://www.inspirock.com/greece/elounda/fortress-spinalonga-a620809903 - on your website, your blog, and social media. When a traveler builds a plan from this page, the itinerary automatically includes Fortress Spinalonga. This is a great way for travelers looking for a great vacation in your city or country to also experience Fortress Spinalonga. Promoting your link also lets your audience know that you are featured on a rapidly growing travel site. In addition, the more this page is used, the more we will promote Fortress Spinalonga to other Inspirock users. 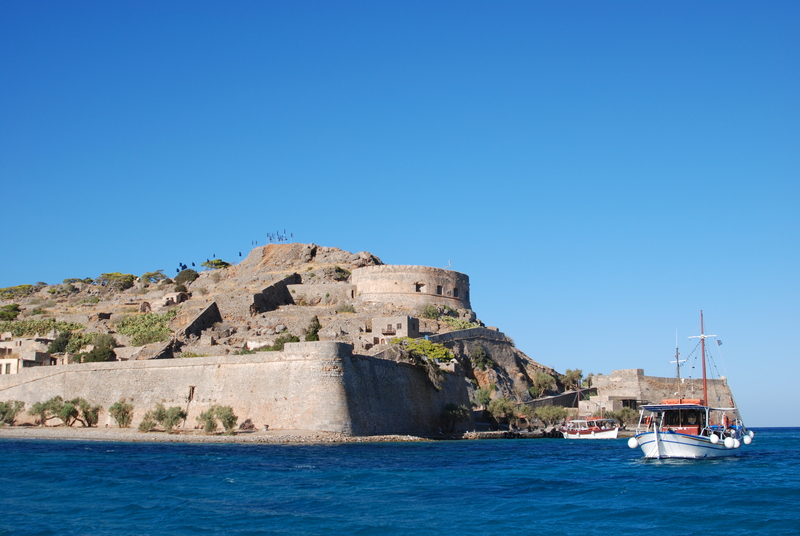 For best results, use the customized Trip Planning Widget for Fortress Spinalonga on your website. It has all the advantages mentioned above, plus users to your site can conveniently access it directly on your site. Visitors to your site will appreciate you offering them help with planning their vacation. Setting this up takes just a few minutes - Click here for instructions.